Offering you a complete choice of products which include papain powder. Papain is obtained from the latex of papaya fruit called Carica papaya latex which collected from the unripe matured papaya. The enzyme Papain is obtained by latest filtration & spry drying technology to get quality refine papain which dissolves easily in water to provide a solution of high proteolytic activity. Store product in a cool and dry place (2-8°C). 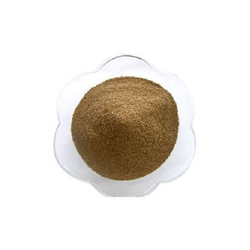 Looking for Papain Powder ?